Raise your hand if you like zucchini! 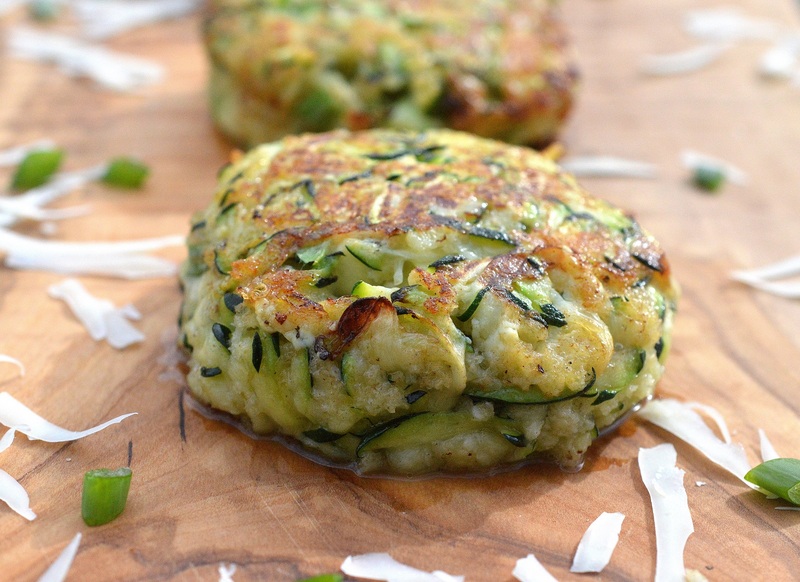 Zucchini Cakes are my favorite way to eat zucchini. 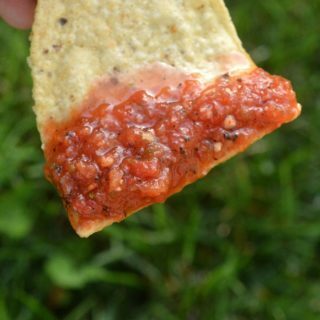 They are not difficult to make, are low carb and if you are on a Keto diet, these fit. They are an all-around win! 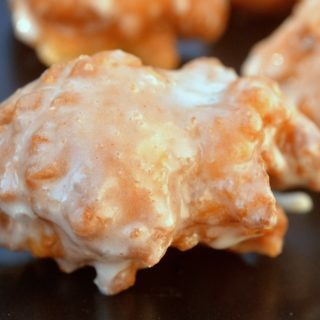 Have you ever had a zucchini cake or zucchini fritter? If you haven’t, you are in for a treat! I’ve been making Zucchini Cakes for years. 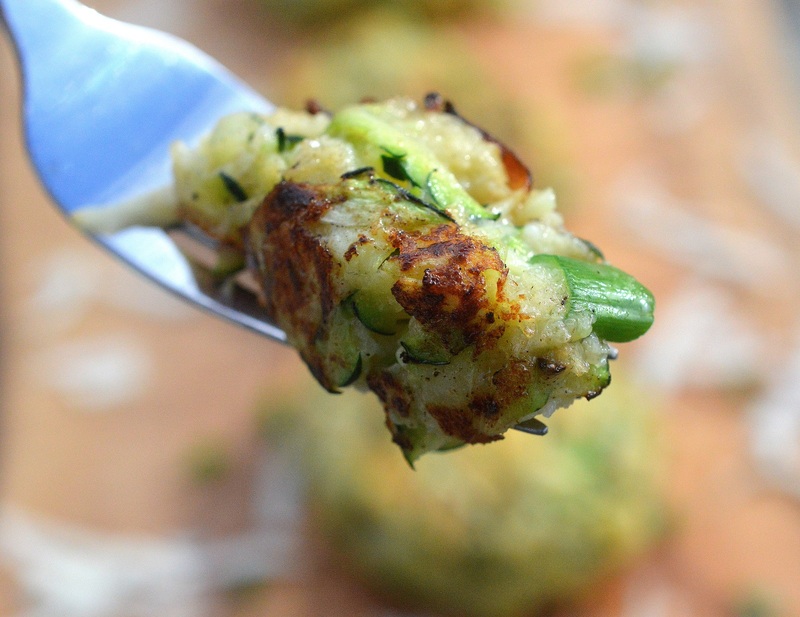 Some call these Zucchini Fritters and they are made in various ways. I have no clue where I originally saw the concept for them either. It wasn’t at a restaurant or a friends house. It must have been something I read somewhere. From the first time I made these until the last time, just over a week ago, I am smitten! So are my husband and kids! THAT doesn’t happen too often, all of us equally liking something…especially a vegetable! So its a huge win in my world! I first shared these back in 2012 and I thought why not share them again, because they are that good (and good for you)! 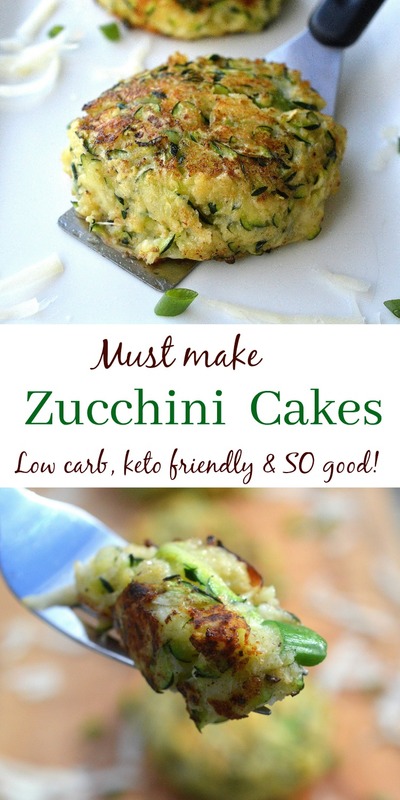 Zucchini Cakes are seriously delicious! I like a crisp crust as I pan-fry them, so as I cut into them with my fork, I get a bit of crisp, some cheesy goodness and zucchini each time, mmmm! 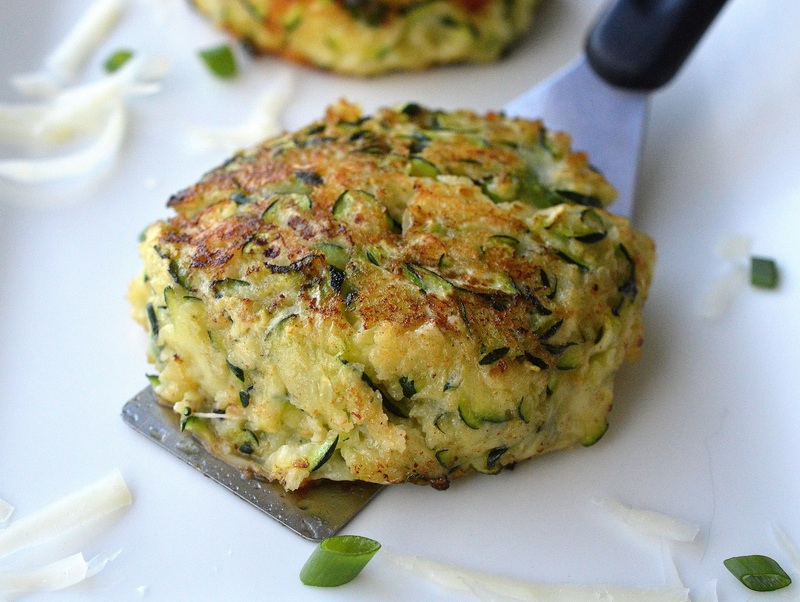 If you use a large zucchini and 1/2 cup Panko you should get 5-6 Zucchini Cakes from that. So the carbs per cake end up being 5 carbs if you make 5 cakes and 4 carbs per cake if you make 6 cakes. Not bad at all. You can add as much cheese as you wish as well. Use more than one type of cheese if you feel like it too. 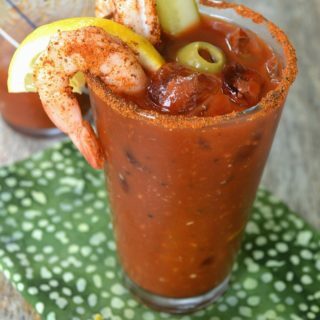 No real rules with this recipe. The only thing you have to do is make sure you get the moisture out of the grated zucchini or else you’ll end up with soggy cakes. 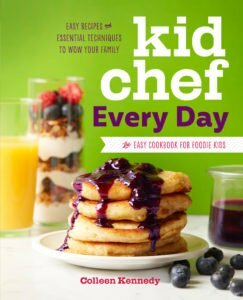 Isn’t it funny how throughout our lives we change what foods we enjoy? It’s like we evolve a little bit. I know that when I was a teenager I did not want anything to do with zucchini, brussels sprouts and a variety of other veggies. 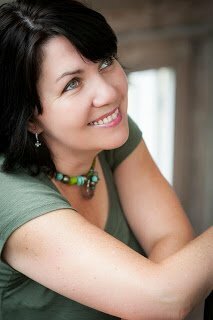 I was only ever interested in raw veggies/ Once I was on my own and learned to cook them differently, I began to enjoy quite a number of vegetables. However, I am sure there will always be some that I just don’t want anything to do with (I am looking at you beets). Do you have a dreaded vegetable?? Do tell! After grating your zucchini, be sure you squeeze out as much liquid as you can. Then blot with paper towels. You want to get as much liquid out from the zucchini as you can. In a medium bowl combine zucchini, Panko, Parmesan cheese, scallions, salt and pepper. Add in the beaten egg and gently toss until combined. Shape into cakes )like a crab cake). Apply pressure as you shape them. 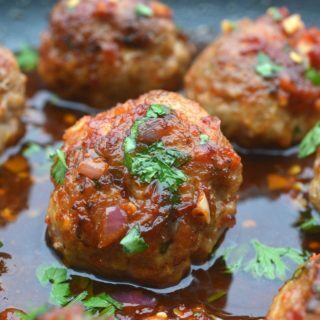 Allow them to set for at least 30 minutes in the refrigerator before cooking. Coat your frying pan with oil, heat over medium high heat and cook your cakes 2-3 minutes per side or until golden brown on each side. Options: You can make these the size of crab cakes for a fantastic side dish, or you can make them smaller for a fun party appetizer. I have made these with dill as the prominent flavor, I have topped them with a bit of Greek yogurt, I have squeezed a bit of lemon in them and I have spiced them up a bit with red pepper – customize them as you like. I have added mozzarella cheese and once I made them with halloumi.